The WORX WG506 2-Speed Corded Blower is lightweight and easy to use. It has a simple tool-free assembly to get you started right out of the box. 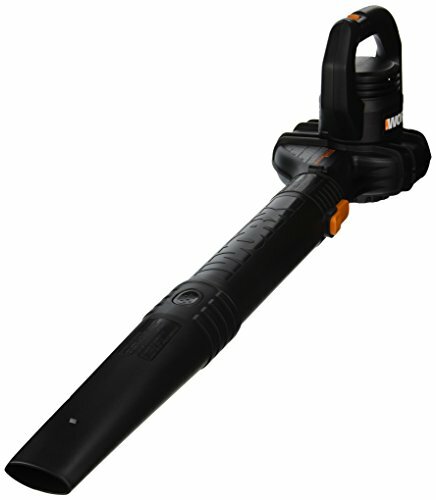 Use this blower for clearing debris from larger areas all around the home or business. No gasoline and no fumes. With a 7.5 amp motor and adjustable air speed from 130 to 160, it is practical for clearing patios, decks, driveways, sidewalks, steps, parking areas and small business areas. The tube design produces 160 cfm of air volume offering sufficient power to tackle a multitude of blowing and sweeping duties.